Big Bad Bug wrote: Objectives regarding reactivation of energy from a still-unknown source called the COMPSAT and likely more types of missions exist, with layers, as shown in "2/3." It actually says "COMSAT" which in the military stands for Communications Satellite. Big Bad Bug wrote: I loathe that hero portrait for its blandness, but further confirmation of heroes is assuredly a positive thing. I thought it was brilliant that the helmet blends with the other GUI elements instead of making it a picture frame. His "bland" appearance could mean he isn't a hero, but one of the low-level marines. By now we all know how accurate my assumptions are. 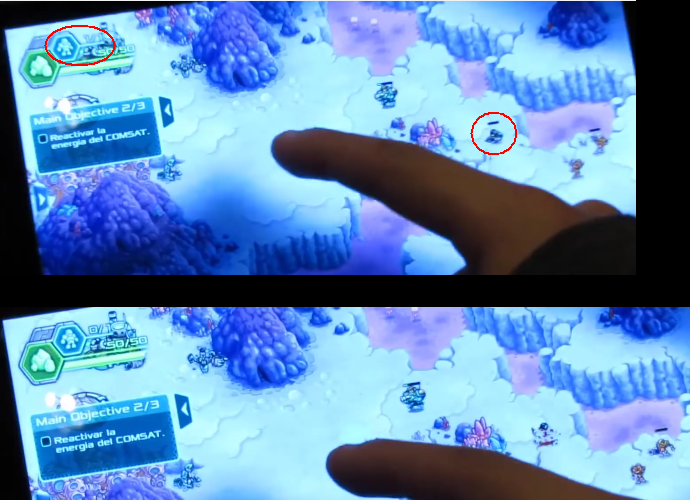 Also, it appears Ironhide is using the same 2D format for the maps as in KR. The artwork looks good, but for this type of game where the map can be moved around and explored, I think it would have greater visual appeal if it were in 3D (so the mountain peaks appear closer and the trenches appear deeper relative to the plateau, and everything moves with a parallax effect, sort of like this, or this). It's not a big deal because the artwork is great, but if you guys ever do say, a 10th anniversary of KR or IM, I think adding that depth perspective would be a nice touch. Location: In Machu Picchu, communing with the gods of tower defense. We actually started working on 3D on the very early on stages of this project but had to scrape that for several complicated reasons. I think that we will eventually go back to it after this new batch of projects is done (meaning, for the games that we will probably start working on in 2017). No, I meant the hero portrait, meaning that small picture in the bottom left corner of the screen. It just seems so lifeless to me. I would assume that picture appears for a hero, because individual circular photos for each unit would be a waste of time when more tangible content could be produced, but again, only Ironhide knows. Big Bad Bug wrote: No, I meant the hero portrait, meaning that small picture in the bottom left corner of the screen. It just seems so lifeless to me. I would assume that picture appears for a hero, because individual circular photos for each unit would be a waste of time when more tangible content could be produced, but again, only Ironhide knows. That's what I was referring to. Instead of making a generic portrait, they used the character's space helmet as the "picture frame", which then compliments the other GUI elements to the right of it. Behind the helmet is the air/breathing tank, and just below the helmet is the character health bar. It's green when full and turns red when low, but there's a minor discrepancy: The health bar for the avatar turns red when low, but the health bar above his head on the map turns black. I think each unit has their own photos because you won't always be using your hero 100% of the time. You still need to control your normal marines, snipers, mechas, etc so it only makes sense that when you click on those units, their avatar will appear at the bottom left so you can manage them. .... You really dont get it do you?... Bbb isnt talking about the frame or the helmet, hes talking about the face, right bbb? The guys expression. The helmet surrounding the portrait is an amazing addition, but I'm talking about the image itself, with the pale-skinned, pseudo-Alric-haired, square-faced human inside the helmet. The person is not a design that I appreciate, especially when Ironhide is such a creative studio. Big Bad Bug wrote: The helmet surrounding the portrait is an amazing addition, but I'm talking about the image itself, with the pale-skinned, pseudo-Alric-haired, square-faced human inside the helmet. The person is not a design that I appreciate, especially when Ironhide is such a creative studio. Hey, Alric's hair isn't THAT bad. I actually really like Alric's hair. However, ripping off his hairstyle is bad. And this is because you speculate it's the hero, and I speculate it's a normal marine hence the bland appearance. Bear in mind this isn't KR where you control only one person. You still have to manage the other troops, and so there has to be some distinction in facial features between the hero and everyone else. And after all this back and forth exchange on this one topic, we learn thats it's neither hero nor marine, but one of the devs hard-coded an image of his face there so we could all think of him when we play the game. Marine or not i would like a decent picture, "oh its alright, he isnt a hero" is not an excuse. But thats assuming it is a marine, we dont know what it is. For the record though i don't dislike the picture, i dont actually have any problems wiith it myself. Simmonds91 wrote: Marine or not i would like a decent picture, "oh its alright, he isnt a hero" is not an excuse. IH shouldn't waste time drawing epic pictures for something as minor as a basic unit. I don't dislike it because it makes a disappointing hero portrait. It would be more disappointing as a portrait for a hero, but it's bland nonetheless, especially when units in an RTS should be more significant than those in a TD. Like you just wrote, there should be distinction between units, but that's got to be hard when the portraits lack distinct features in the first place. 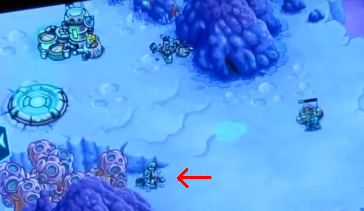 The marine panel at the top left indicates the maximum number of generic marines you can have on the map at any given time. In the top image it says 1/1, which represents the marine fighting the aliens. But when he is killed, the number drops to 0. The white rock panel is how much etherium/resources you have. Our alleged "hero" panel, who from now on we shall call Antonio Blandares. The bar below his avatar is his health, and to the right are his skills. The middle image shows he's used some of his skills. In the third image, there is some pointy thing sticking out from his backpack. Judging by the arrows, objective panels can be opened or closed, so the arrow on the bottom is likely secondary objectives. Floaties that move around. Alien pokemon balls you have to collect? Who or what is this? It might be rocks or mechanical parts clumped together, but it also looks like a man riding something. That might be Etherium in the second to last image. Might. The alleged "Hero Portrait" might or might not be a placeholder that might or might not be changed eventually. I might or might not be vague on this on purpose. Updating the list with: An awesome soundtrack. Notice the yellow numbers that appear just as the enemies die. I assume this is a further sign of enemies granting some form of currency, most likely Etherium. (It could also be gold because that's what the yellow numbers indicate to me. Alternatively, it could be some sort of XP reward.) 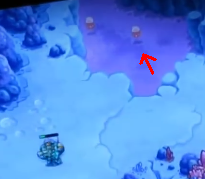 Also, I hope that this is some kind of confirmation for TD elements to be present in the game. Furthermore, considering the speed with which those enemies were dispatched, I would think that said enemies are minor mooks, or that the tower is upgraded. (assuming there are upgrades) These rockets also appear to deal AoE damage. The turret gif has been added! - The enemies attack the tower before it can hit them. That looks somewhat ineffective since it should be built to hold off hordes of weak enemies, but a horde could potentially deal large damage to it if they all get close and attack, even if it wipes them out afterwards. Tough enemies should be able to take a few hits and move forward to destroy it in order to counter this, but it just seems like anything can attack it. -No health bar is shown. Is it invulnerable, or immune to attack types? Are there even attack types other than AOE and singular? - The tower attacked the enemies without being ordered to, at least not visibly. They struck first, so maybe it automatically fires only when under attack. - The enemies faced the wrong way, then turned to attack. I assume they were immediately spawned in for this purpose. Notice how they shoot, then move closer to attack. This seems like an annoying AI that wants to make sure it deals damage more than be an effective, challenging opponent. Hello there! i've just seen the new subforum and came to say hello. The only thing i'll suggest the devs is to play red alert 2 a little. When i was looking at the screens we datamined, that CnC classic came to my mind By the way, +1 to all kind of skirmish suggestions ever made^^ KRs have endless levels to compensate, but this one NEEDS a skirmish mode. Last edited by Saurian on Wed Jan 27, 2016 10:13 pm, edited 1 time in total. Razor made me an awesome avatar! Who's that in the pic and why is it relevant?